Encounter is an award-winning publication read by a Christian audience of over 10,000 people. 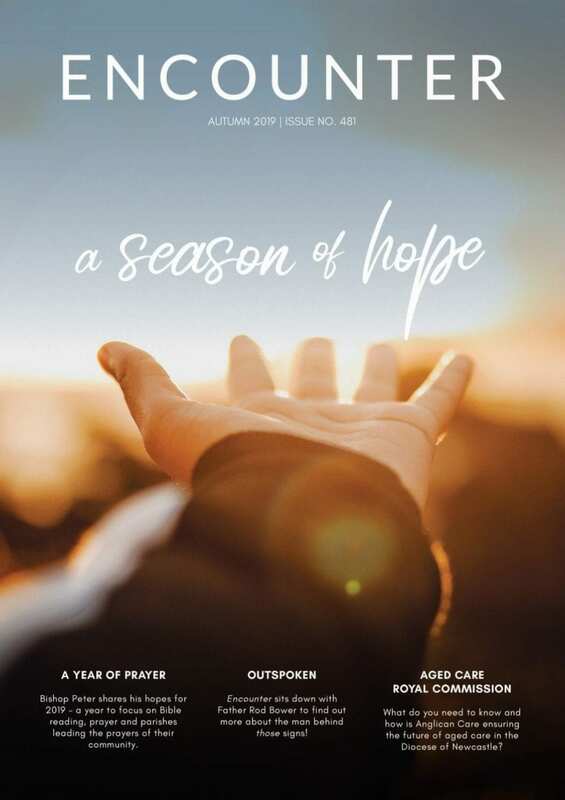 The magazine explores the key essence and soul of the Anglican Church Newcastle, with features on the key matters we face in our daily faith journey, stories of achievement and celebration, and reflections from our Bishops, clergy, and parishioners. With a focus on outreach and social justice, Encounter endeavours to tackle the big issues such as homelessness, environmentalism, mental health, refugees, reconciliation and more. Encounter reaches approximately 10,000 readers across our parishes, schools, and entities. The magazine is also read online by thousands through the online publisher issuu. The Australasian Religious Press Association awarded Encounter for Best Regional Publication 2013, 2014, 2015, 2016 and 2017. The Editor and Editorial Committee welcome contributions of stories and photographs for consideration for the publication. The Editor and Editorial Committee reserve the right to edit or cut all submitted material. Email your submissions to the Editor (please send images as high res JPEG or TIFF attachments). Articles should be a maximum of 250 words and are not guaranteed publication. Please supply your contact details. Advertising for 2019 is now open. Please download the Encounter Rate Card and Booking Form 2019 for more information. Subscriptions to Encounter are available.